Clyfford Still, PH-247, 1951. Oil on canvas, 117 x 92 inches (297.2 x 487.7 cm). Clyfford Still Museum, Denver, CO.
Sobel, Dean and David Anfam. Clyfford Still: The Artist's Museum. New York: Skira Rizzoli, 2012.; cited in Sobel, Dean. "Why a Clyfford Still Museum?" In Clyfford Still: The Artist's Museum, 15–54. New York: Skira Rizzoli, 2012, p. 30.; cited in Anfam, David. "Still's Journey." In Clyfford Still: The Artist's Museum, 57–112. New York: Skira Rizzoli, 2012oli, 2012, p. 64, 94. Clyfford Still Museum Research Center and Clyfford Still Museum. 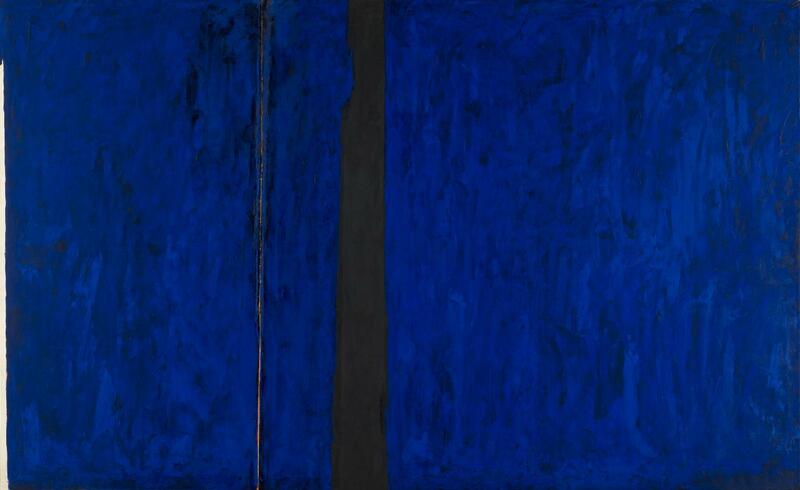 Repeat/Recreate: Clyfford Still's "Replicas". Denver: Clyfford Still Museum Research Center, 2015; cited in Anfam, David. "Repeat/Recreate: Still's Multiplying Vision." In Repeat/Recreate: Clyfford Still's "Replicas", Clyfford Still Museum, 37–57. Denver: Clyfford Still Museum Research Center, 2015, p. 49.